BlogOracle VM VirtualBoxWhat is VirtualBox Virtualization Software? What is VirtualBox Virtualization Software? In this article, we will discuss what is Oracle VM VirtualBox virtualization software that allows you to create virtual machines on a desktop or laptop computer and what it does. Oracle VM VirtualBox is a cross-platform virtualization program. It was first developed by Innotek GmbH in 2007 and later purchased by Sun Microsystems. Oracle VM VBox is a cross-platform virtualization program that can run multiple operating systems virtually application-based. If you have an Intel or AMD based system, you can install and run operating systems such as Windows, Linux, and even MacOS. 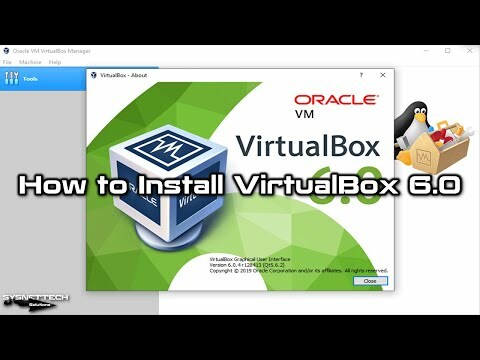 If you want to run more than one OS on your computer, you can easily set up the Oracle VM VBox software on your computer. If you are a software developer and you are developing an application, you may need a virtualization program like Oracle VM VBox. Although VBox is a free solution, it is a very powerful program. If you have a very powerful computer and your computer’s hardware supports virtualization technology, you can run 4-5 VMs at the same time. The biggest feature that separates Oracle VM VBox virtualization from programs like VMware Workstation is that it is free. After briefly discussing what is VirtualBox VM software, let’s talk about what does VBox do and what we can do with it. With the VBox virtualization software, you can install another operating system on top of your existing operating system. For example, if you are using Windows 10 OS, you can also install Microsoft Windows 8 and 8.1 with Oracle VBox software. And even you can install and try Windows XP OS. You can install your Linux OS on your computer and develop your Linux usage. You can also install an Apple MacOS operating system next to Linux. You can easily transfer files between your main operating system and the VBox machine you have installed using drag and drop. You can even take snapshots of your VBox machines and then quickly back up from backup. Where can I download VirtualBox? Oracle VM virtualization program is completely free software as mentioned. So you can easily download it to your computer by doing a few research on Google. However, to download the latest version of the Oracle virtualization program, you can visit virtualbox.org/wiki/Downloads and download it easily to your computer. You can install the following operating systems on the Oracle Vbox program. What is VirtualBox Extension Pack? The VirtualBox Extension Packet allows you to use operating systems more efficiently. Extension Packet has a .vbox-extpack extension. With VB Extension Pack, you can use your external storage devices with your VM with USB 3.0 support. After briefly discussing what VirtualBox is, you can watch the video below for its installation and also subscribe to our YouTube channel. In this article, we have briefly talked about Oracle virtualization software. Nowadays virtualization has become very important and we recommend you to become familiar with all of them by trying different applications like VMware.